If you want to make sure that your next winter sports break is everything you dreamed it would be, consider the following factors when choosing your destination. Snow – this is the big one of course. How certain can you be that there will be a good covering of snow on the ground when you arrive? If there is any doubt in your mind, it is probably best to keep looking. Generally speaking, the higher the altitude of the ski resort in question, the greater the chance of snow at any given time. 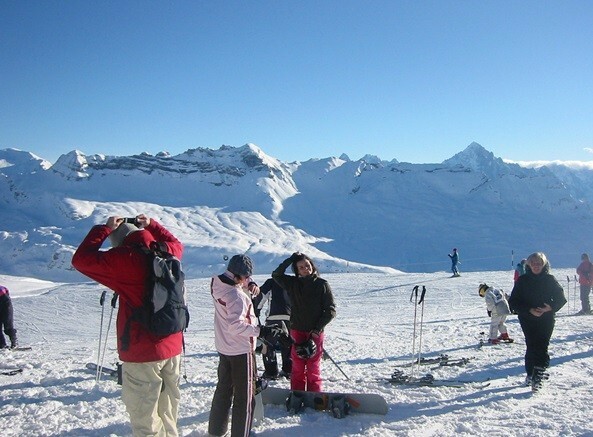 Choice of runs – if you want to be sure that you never run out of challenges on your holiday, you will want to pick a region where there are plenty of slopes from which to choose. If you are travelling with family, somewhere with a mix of black runs for accomplished skiers, blue and green runs for beginners, and red runs for those who are somewhere in between, would be ideal. Les Trois Vallées (the Three Valleys) in Savoie, France is well worth considering if variety is important to you. As the largest ski area in the world, it has a great choice of runs for skiers of all ability levels. Nightlife – if you are travelling with a group of adult friends, this is probably going to be an important factor that you need to consider when selecting a suitable resort for your party. Some ski towns are famed for their bustling nightlife whilst others may be rather too quiet once the sun goes down as far as many thrill seeking winter sports enthusiasts are concerned. On the other hand, if you are travelling with young children and will be focusing mainly on ensuring they have a pleasant introduction to skiing on their first winter holiday, somewhere nice and quiet will be perfect for your needs. Accommodation – unless you are used to roughing it or travelling on a very tight budget you will want to ensure that the chalet in which you stay has all the creature comforts you desire. Ski holiday accommodation in Europe ranges from very basic apartments in rather drab blocks to beautifully decorated high-end chalets that come with their own catering team. The best choice for your party will depend on how much you wish to spend and how much time you plan to spend at your chalet during your holiday. However, even if you will only be there to sleep and you do not wish to spend a fortune, make sure that it is at least a pleasant place in which to spend a few hours. These are the main factors that I keep in mind when booking winter sports breaks, you may of course have others that you would like to add to the list.